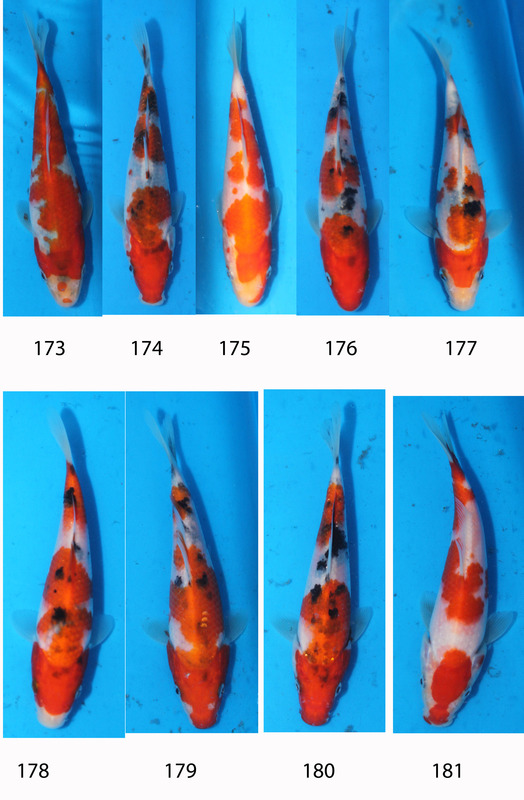 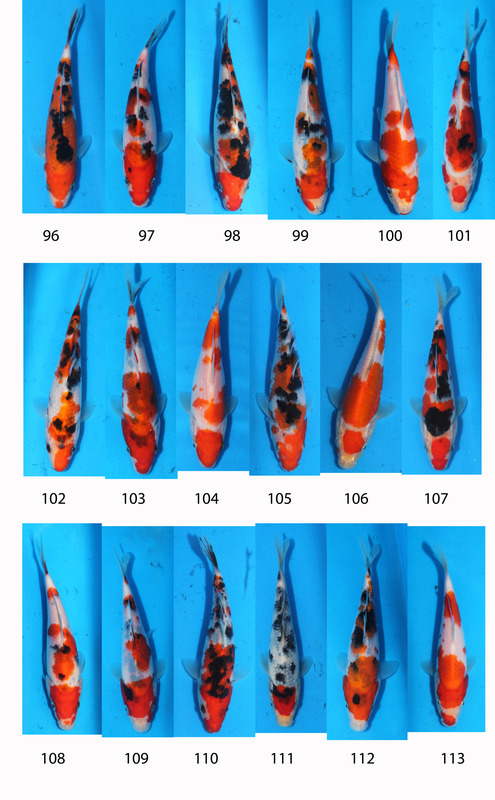 After Robert Fischbach made a great selection at Quality Koi's Manic Monday, the Sanke now known as Fischbach became one of the new breeders at the Nisei Koi Farm. 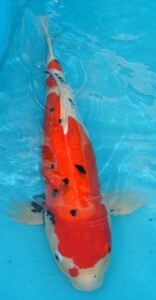 Robert made the generous agreement to trade koi so that this great koi could become part of the QK breeding program. 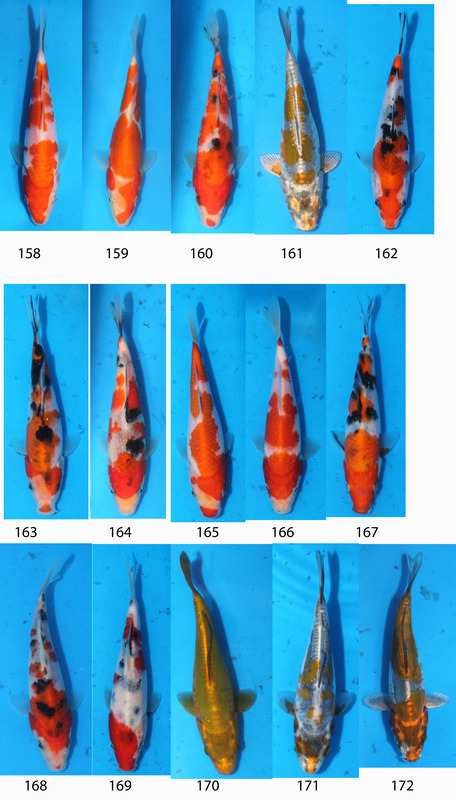 Some of the offspring are already winning awards and recognition in the koi world. 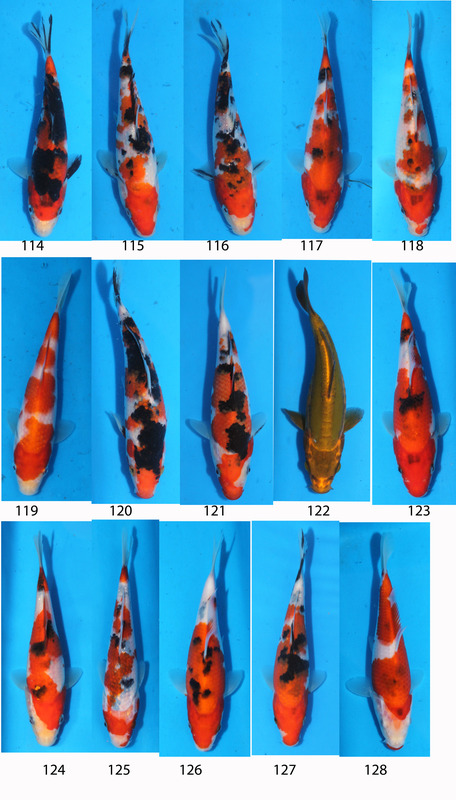 Below are pictures of a sampling of the young koi - all about 15cm (6 inches) at this point. 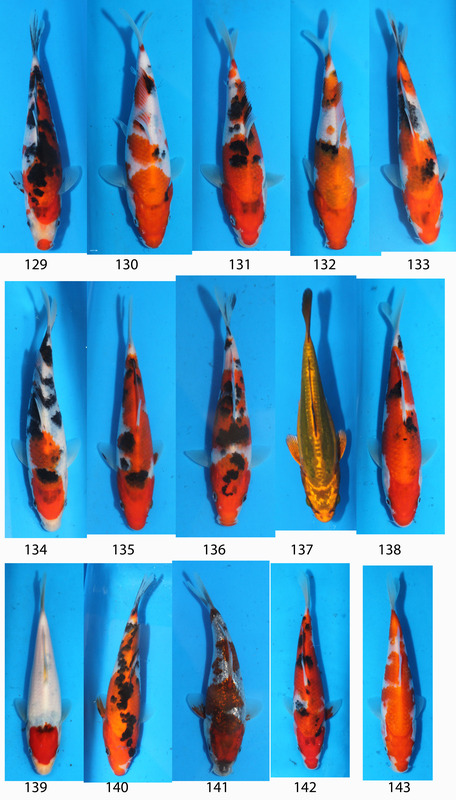 Click on any of the pictures for a larger view. 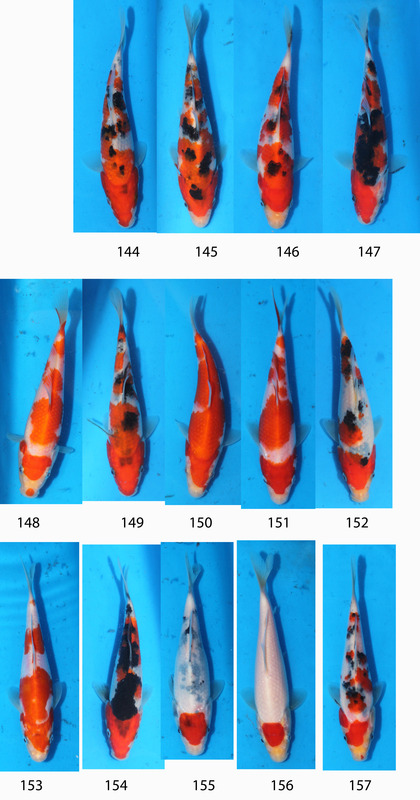 Notice the interesting range of patterns and colors produced by one mother koi and two potential fathers.